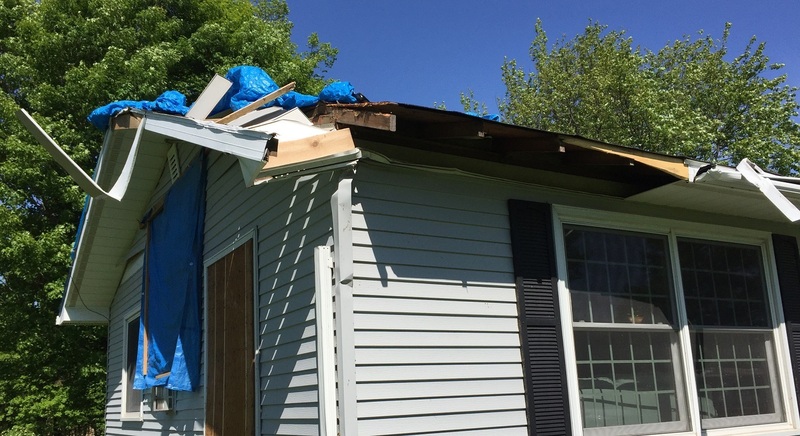 When major storms leave damage to your home, it can be tempting to work with the first contractor that comes knocking on your door, the company that promises you a new roof by the end of the week, or the lowest bidder. However, not educating yourself about who you are working with can have serious consequences. In the construction industry, the term “storm chasers” are those that travel to areas affected by storms and approach those in need of assistance with repairs. Oftentimes, they require cash up-front in exchange for quick repairs. Unlike reliable contractors, storm chasers will offer to act as the sole contact with a homeowner’s insurance company. If a homeowner signs documents authorizing a storm chaser to act as sole contact with an insurance company, their insurance settlement check may be made out to the storm chaser, not the home owner. If this happens, the homeowner relinquishes the right to withhold payment if work is not completed in the manner that was agreed to. The storm chaser is then free to use subpar materials & or even leave the job incomplete because they have already received full payment. Oftentimes, storm chasers do not carry insurance policies, leaving the homeowner at risk. If a roofer is injured while working on your home and the contractor they are working for does not have insurance, their medical bills may become the responsibility of the home owner. Another area where storm chasers fall short is warranties. Most roofing materials have warranties to protect the homeowner. However, warranties are void if the roofing was installed incorrectly. If you’re dealing with a storm chaser that has no permanent address, it’s difficult to receive support if the product they installed malfunctions before the end of its intended lifespan. A local contractor has a reputation to uphold and will likely do everything to rectify the situation if something goes wrong with a product down the road. Their contracts often offer very specific terms that they are likely to honor. 1) The company solicits business door to door and shows up right after storm damage has occurred. 4) They do not provide evidence of having insurance or a construction license number. 5) You are responsible for obtaining the building permit. 6) Unmarked vehicles or a vehicle with only a magnet that states the company name. 7) No local references are available. 8) Offers a price that seems too good to be true. 9) Uses a PO box as their address. 10) Out of area license plates and/or driver’s licenses. In addition to the harm they can cause a local homeowner, storm chasers can be detrimental to the local economy. Why? Storm chasers often cut corners on things like insurance and materials, likely making them the cheapest contractor to work with. If this happens repeatedly, it can make it difficult for legitimate contractors to have market share, causing them to go out of business. This, in turn, provides the consumer with fewer places locally when a home repair is needed. "We asked Lindus to give us an estimate on replacing our skylights. While they were on the roof checking out the skylights, they noticed we had hail damage. Thanks to their thoroughness, we knew to file a claim with our insurance company and they covered the cost of a new roof, skylights and gutters. Lindus was very fast (the roof and windows were done in a day) very clean....we did not find a single nail in our yard...and everyone was so courteous. I would use them again without hesitation!" - Jill F.
"Lindus did hail damage work on my home. Jordan was very helpful in working with the insurance company. Would recommend for gutters." - Crystal H.